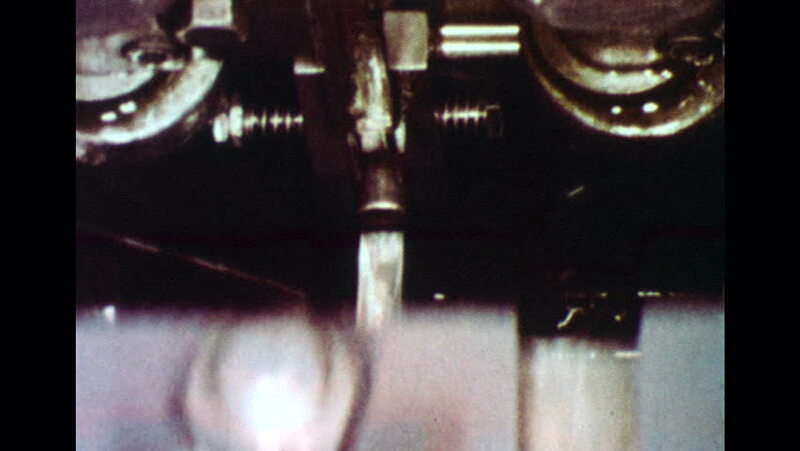 UNITED STATES 1960s: Slow motion close up of machine forming connectors. hd00:10Havana, Cuba - CIRCA December 2009: Dark alley, narrow street with local circulation. hd00:15Bottles on a industrial machine. Bottling machine.